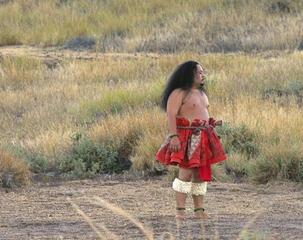 The hālau is under the direction of Kumu Hula Micah Kamohoaliʻi. Known for their powerful energy, ʻaihaʻa and emphatic style of chant and dance stemming from Hawaiʻi Island, they are linked to the powerful rains of their homeland and known to bring on a downpour. 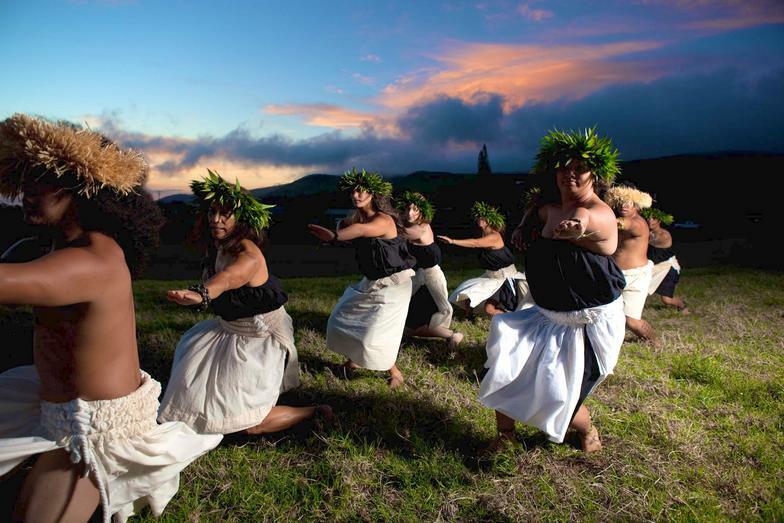 Hālau Nā Kīpuʻupuʻu is celebrated for revitalizing many ancient art forms and practices within hula not commonly seen today. 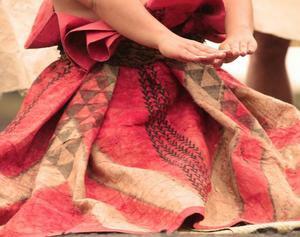 They are most famed for revitalizing the art and practices of ancient Kapa within the lines of hula. Cultural leaders within the Waimea landscapes they strive to preserve, perpetuate and practice native tradition to honor the akua, the kanaka, and the ʻāina. 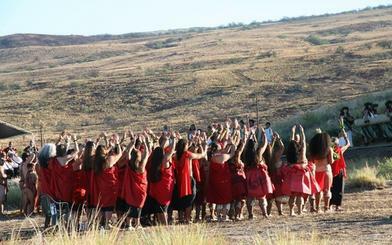 Hālau Nā Kīpuʻupuʻu is a traditional Hawaiian dance school that is rooted in the practices of ancient Hawaiʻi, the great Kamehameha family and his famous Kīpuʻupuʻu Warriors. This hālau is anchored in the Hawaiian culture and language while immersed in the traditions and teachings of the Kamohoaliʻi family of Waimea. Hālau Nā Kīpuʻupuʻu is based on the Puʻukapu plains of Waimea, Hawai’i. We strive to educate all our students about the Hawaiian culture through chant, hula, lua, language, practices, and protocols. This hālau is dedicated to the perpetuation and preservation of the Hawaiian culture. 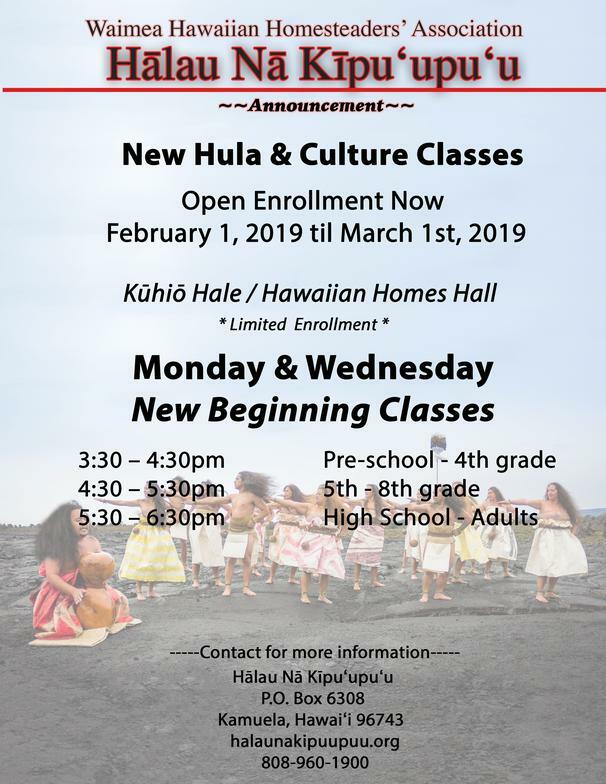 New hula classes open once every 2 years, please contact the Hālau if you are interested in learning about Waimeaʻs traditions and hula. Previous Projects were funded and or supported by Hawai‘i Community Foundation, Richard Smart Foundation, The Hapa Fund, WOW Farm, Waimea Hawaiian Homesteaders’ Association, Rivertop Solutions, Parker Ranch, Kamehameha Schools, Waipi‘o Valley Tours, Hawai‘i Preparatory Academy, The Peopleʻs Theatre in Honokaʻa, Native Arts and Cultures Foundation.